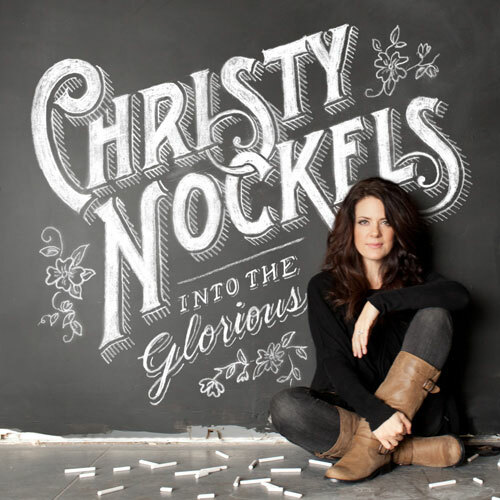 One of the leading female worship leaders in the world, Christy Nockels, will release her new album 'Into The Glorious' on 3rd April 2012. The twelve-song album was produced by Christy's husband Nathan Nockels (Laura Story, Passion, Matt Redman) and includes current single 'Ever Lifting' and a new recording of 'Waiting Here For You', a song first heard on the 2011 Passion album 'Here For You'. "Christy's new album finds her progressing from her acclaimed solo album 'Life Light Up', and showcases a more textured and rhythmic acoustic sound", says SixSteps Records. "The album highlights Christy's stunning vocals, strong songwriting and signature approach to worship."